If you are looking for the perfect location for your banquet event in New Jersey, come take a look at the scenic and historic locations offered by Bahrs Landing. We truly offer the perfect, waterfront backdrop for your special event. 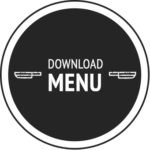 Please take a look at our Dinner Buffet menu and download the full file by clicking the button to your left. Also, if you have questions or would like to speak to a Bahrs Landing Party Planning Expert, simply fill our the form below and we’ll be in touch shortly.